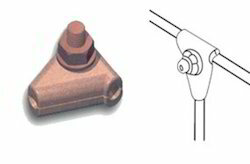 These T Connector Clamps is used for three way connection these are made from Copper Alloy and Aluminium. We design T clamp which are in the shape of T and cater to the needs of various industries. 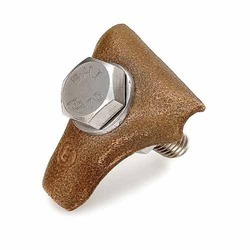 This T clamp is highly durable as well as rugged in performance. Designed as per the needs of the industry this T clamp is widely demanded. Available in various sizes and dimensions this T clamp is not only easily affordable but can withstand the excessive pressures and temperature variations. Being a leader in the industry, we are engaged in offering a qualitative range of Compressor T Clamp to our clients.